Sewing Scholar: V1C3 Arranging Pattern on Fabric for Cutting Out. Your have selected a pattern, you have made fitting alterations and your fabric decisions have been made, it is prepared and aligned, you know how to cut and mark the pattern pieces-- time to lay out the pattern on the fabric to cut the pattern pieces. Don't forget to press the folds out of your pattern pieces first and make sure your fabric is not wrinkled. In the majority of projects, you will fold the fabric in half lengthwise with selvedges on one side and fold on the other. This works perfectly fine with solid fabrics and non-repeating prints. 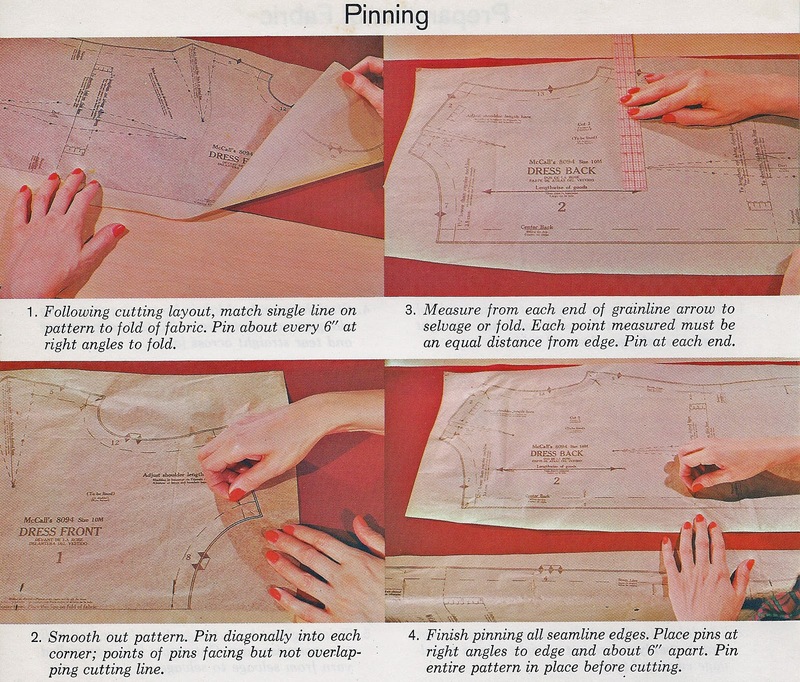 The book recommends that the selvedges be pinned together at 1-2 inch intervals. I don't think I would ever do that unless I was nervous about a shifty fabric. The fabric can be folded crosswise if the pattern pieces are too wide for the lengthwise layout. Be careful of directional prints with this option. 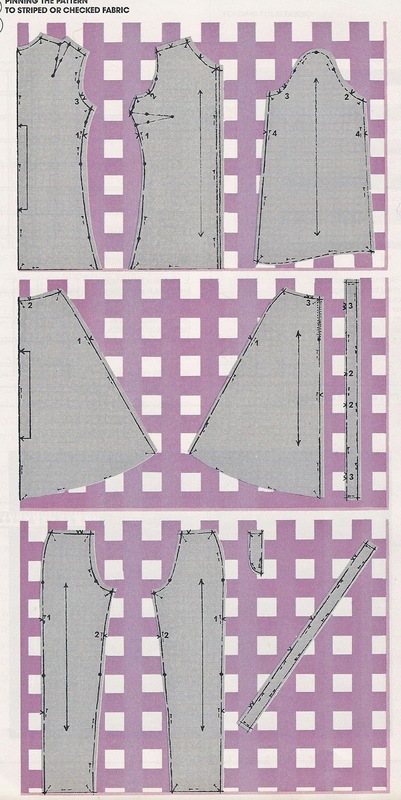 In some cases your pattern layout directions may require you to cut some items from doubled fabric and others from single thickness. Plaids and repeating prints will require additional fabric to match them. Every pattern has directions in which recommended layouts or cutting diagrams are pictured. You may follow this but you don't have to. You may decide a more thriftier layout for the fabric or in the event your fabric shrunk more than you expected and you have to less to work with. The most important factor in laying out your pattern is making certain your pattern piece grainlines match the grainlines in the fabric. The best way to ensure this is to measure from the grain line to the edge of the fabric so that the grain line is always the same distance to the edge from top to bottom. Some may choose to extend their grainline on the their fabric from top to bottom by drawing it in with a ruler and pen. Striped, large checked and plaid fabrics will need to be folded more carefully- the foldline should fall exactly halfway through a stripe or check and use pins through the top layer of fabric where the check lines intersect or stripe edges are --matching the bottom layer by folding the fabric back to check placement adjusting as you go. Keep pinning throrughout until edges are pinned. 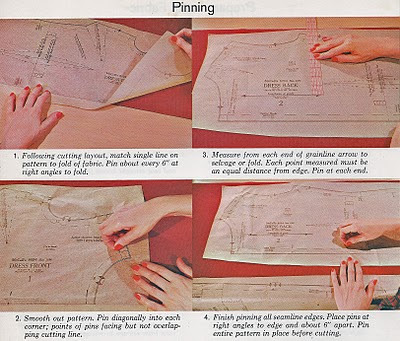 Take pattern pieces and pin those that need to be placed on the fold --aligned those on the fold and arrange the other pieces measure to the edge of fabric as described above. Dress or shirt --To make the design match where the pattern pieces are supposed to be seemed together, make sure the numbered notches that will be matched up together when seamed lie on the same position relative to the checks or stripes in this order: 1.side seams, 2. armhole and sleeve seams, 3. Underarm seams. 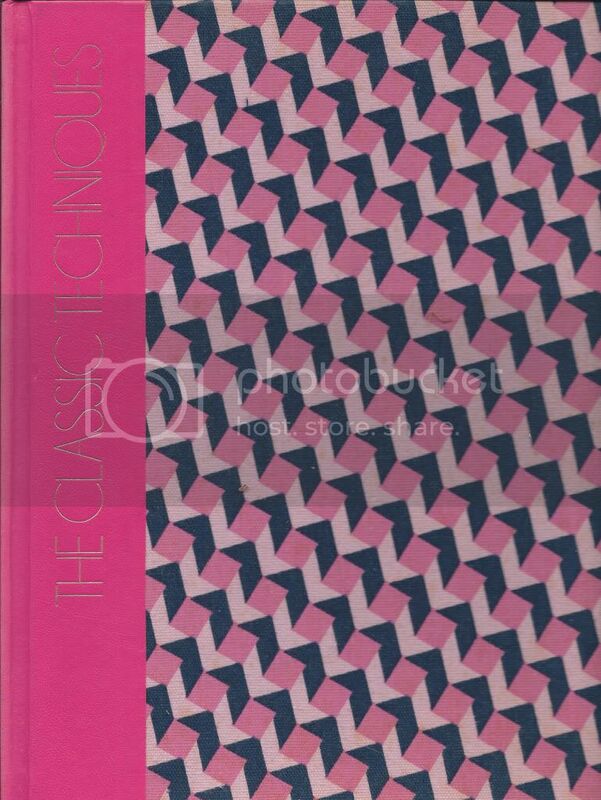 (see first square in illustration above). You can number your notches to make it easier. Remember to always align the grainlines of the pattern to the fabric before securing with pins. But remember, it is possible to be too matchy. Label side notches on all pieces "1". Label the front armscye and front part of shoulder cap "2". Label the back armscye and back armscye "3". On a skirt: label the side seam notches "1", the front waistband and the front top "2" and the back waistband and top of back of the skirt "3". Then place pattern on fabric, positioning those numbered notches in similar axis/to design. See pic 2. On a pair of pants: Label the side seams "1", the inseam notches "2" . Cut the waistband on the bias so not to worry to make a match. Pin pieces at notches, ensuring the grain is lined up for all pieces and the notches are at evens with their mates. see pic 3.